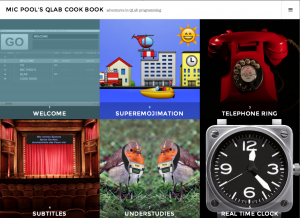 • Mic Pool’s QLab Cookbook. • Lemur: Pro MIDI and OSC controller. We are stuck with technology, when what we really want, is just stuff that works. ← QLab is having a contest!